To change Defraggler's operating language, see the Language settings topic. 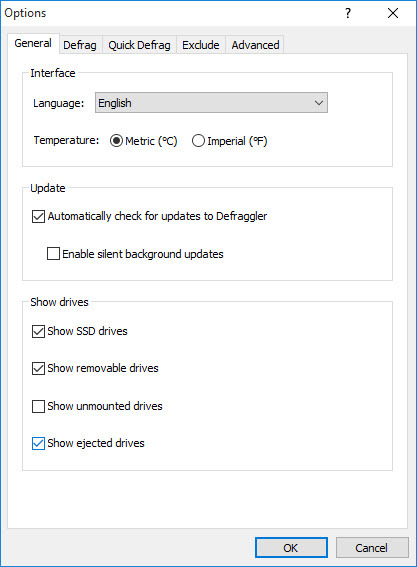 To automatically check for updates online, select Automatically check for updates to Defraggler. You must have an active Internet connection for this option to work.